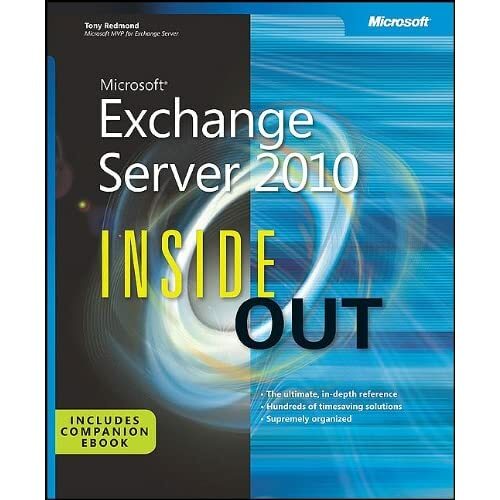 Fantastic – the word is out that my Microsoft Exchange Server 2010 Inside Out book is soon to be available! Great… until I read the PR text that talked about the content that should be in the 1,312 pages that will apparently be the final count (we live in hope). 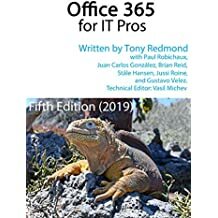 I’ve just sent an email to say that this text has to be updated as some of the chapters have been removed from the book to slim it down (as reported in this blog). Ah well, those pre-order the book because they are excited by the prospect of reading a chapter on public folder management or my rambling thoughts on the good and bad points of Exchange Online will have to be content with the remaining chapters… or maybe we can save ourselves and get the text updated so that it reflects reality. Time will tell and we’ll see just how quickly a change to PR text for a book can be made so that it appears on a site like Amazon. I also like the “Supremely organized” tag line that Microsoft Press has included on the front page (see the screen shot). I wonder who they are talking about… it’s certainly not me! This entry was posted in Exchange, Exchange 2010, Writing and tagged Books, Exchange 2010, Exchange 2010 book, Exchange 2010 books, Exchange 2010 SP1, Exchange 2010 SP1 book, Exchange 2010 SP1 Inside Out. Bookmark the permalink. Yep, that’s another example of text that needs to be fixed ASAP. Great Tony !! I will definitely be picking this up! !